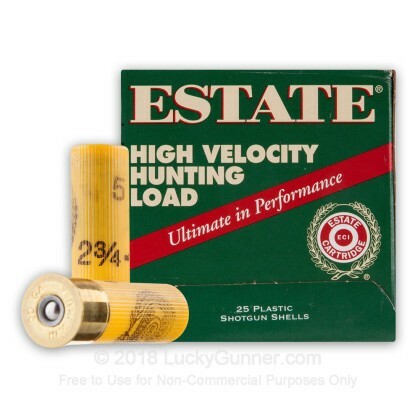 These 20 gauge shotshells from Estate excel at bringing down large upland birds and other small game. 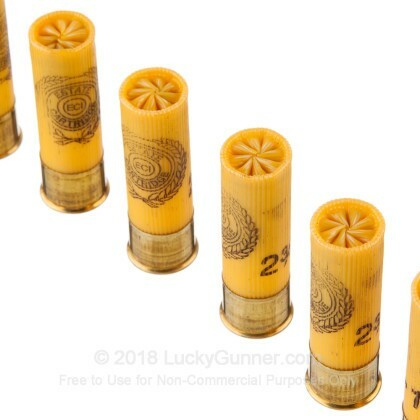 The #5 birdshot used in this ammo has a diameter of .12" or 3.05 millimeters. 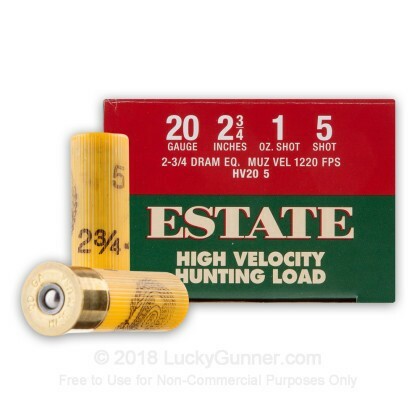 While not sufficient for self defense or large game hunting, this shot size is perfect for many sporting uses. 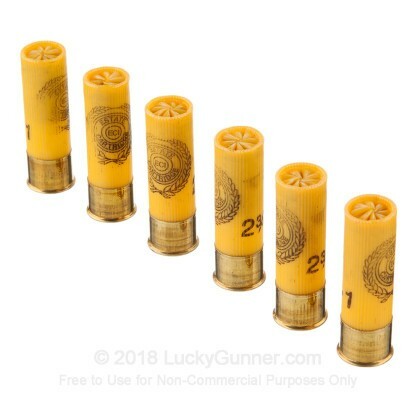 Each 2-3/4" shell in this bulk priced case of 250 fires a full ounce of #5 shot at a muzzle velocity of 1,220 feet per second. This is a relatively heavy payload for a 20 gauge, and it will produce a somewhat pronounced kick in lighter shotguns. Expect dense patterns and good medium range performance. 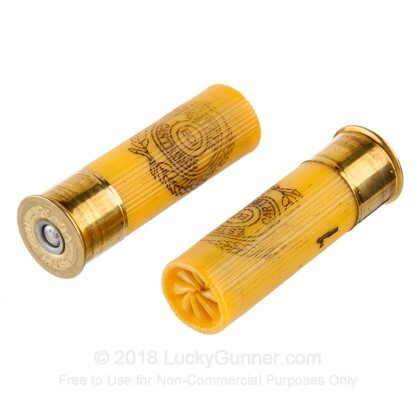 Estate shotshells are well regarded among hunters and sport shooters for their combination of low cost and reliable performance. 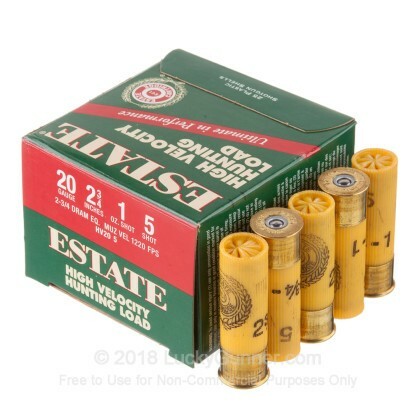 Estate brand ammo (both shotshells and centerfire) is manufactured in Anoka, Minnesota by Federal, a division of the Vista Outdoor group.